I've been asked about Intershoot results and realized I haven't posted in awhile. 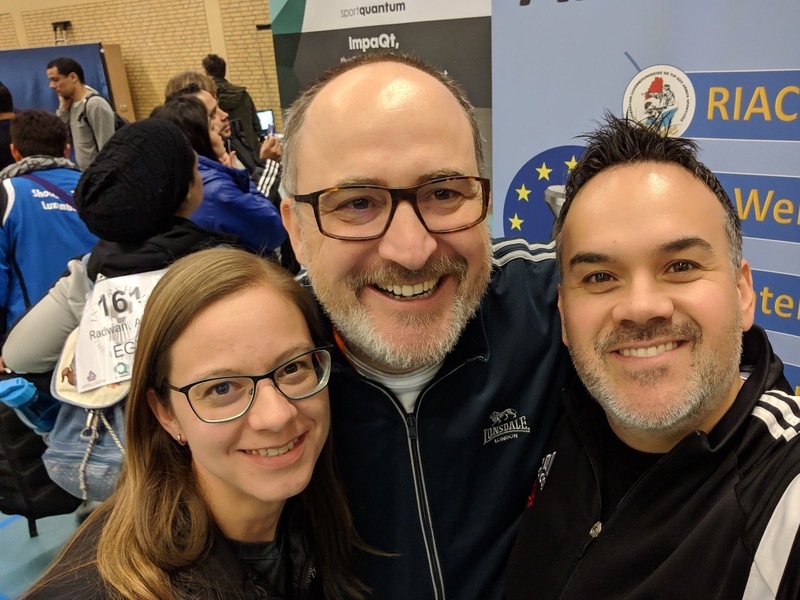 Intershoot 2019 Netherlands results! The first match went well but I know I could have done better. There were some easy points I lost which I shouldn't have let go. It doesn't take much of a break in focus though when you're dealing with millimeters at a distance of 10m. After the first match I ended up not feeling well due to something I ate and stayed in bed a couple days only getting up to go compete and make the best of the situation. Also got a chance to meet up with Ramon from Olympic Pistol which was pretty cool! Thank you for the t-shirt and Belgium chocolates! Next up are the BC Airgun Championships in Richmond, BC in a couple weeks! 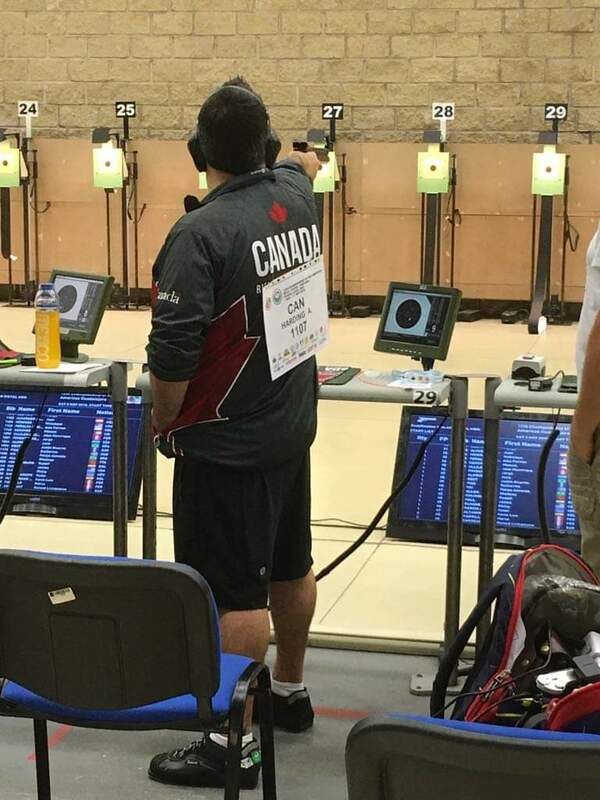 Pan Am Games quota spot acquired for Canada! At the Championship of the Americas in Guadalajara, Mexico I won the first shooting quota spot for Canada to attend the 2019 Pan Am Games in Lima, Peru this July! 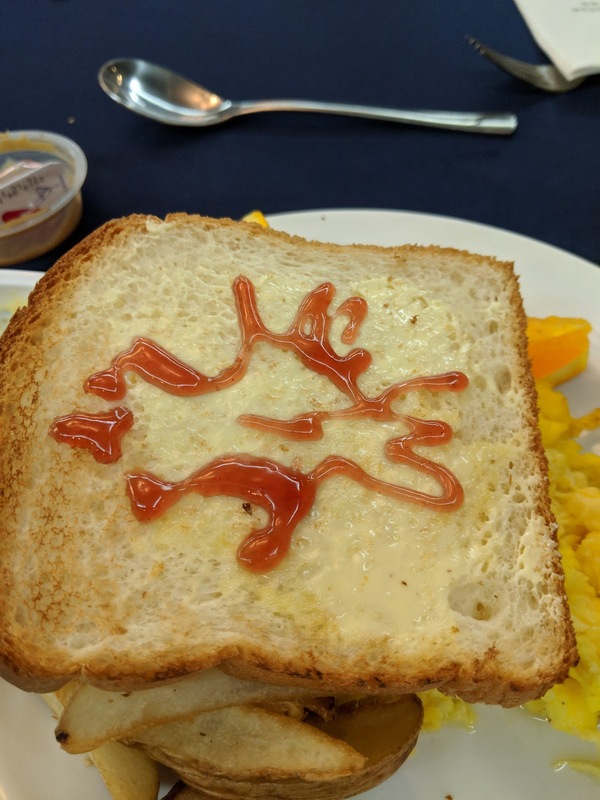 First quota spot for Canada won! I wrote down thoughts around what it's like to be a Canadian sport shooter and they were published on Vancouver Is Awesome. Check it out here! 52nd ISSF World Championships are 3 weeks away! Stay tuned for updates on my trip to Changwon, South Korea. Event details can be found at changwon2018.com. 2018 Canadian National Pistol Champion! 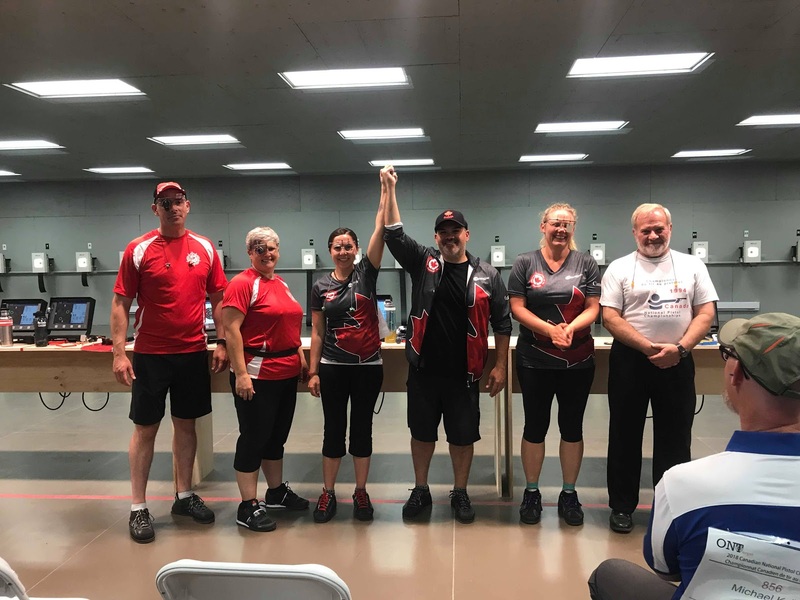 A couple weeks ago I became the 2018 Canadian National Pistol Champion, defending my title and setting a new Canadian Nationals 10m Men's Final record! I also teamed up with 2016 Olympian Lynda Kiejko in the new 10m mixed team event and together we won the National title in the mixed team 10m event! In May, I was at the ISSF World Cup stage in Munich, Germany for the final stage of the 2018 ISSF World Cup Series. I shot a 568/600. Awesome! Follow me on Twitter and Instagram @alharding for my latest updates! I am currently at Fort Benning, Georgia for the USA stage of the 2018 ISSF World Cup Series. Finished up today's men's 10m pistol event with a 562 and 17x's. This is my second highest World Cup score and I believe the most x's I've ever shot. The competition is going well. Picked up on a couple things I need to work on after having a similar mid-match performance in Guadalajara, Mexico a couple months ago in March. The 3rd and 4th series in the match giving me a bit of trouble then I finish strong. I'll get the middle of the match as consistent as the start and end and it will give my scores a boost. Mexico went well in March. I shot at that range in 2014 at the Championship of the Americas and went back there this year to work on some of the issues I ran into in 2014. 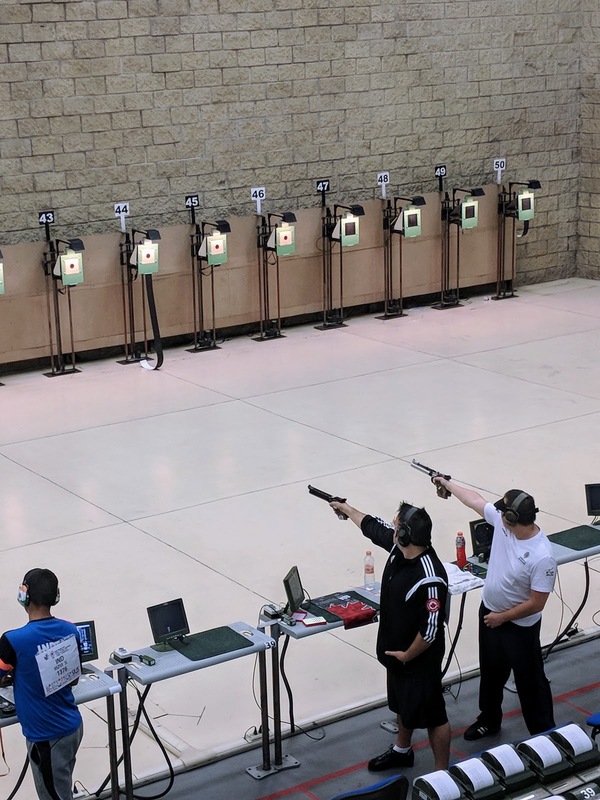 So far this ISSF season has been going well. Coming up next will be the Canadian Team Trials in Cookstown, Ontario and then I'll go from Toronto to Munich, Germany for the World Cup stage there. Shot my qualification scores and set a new Canadian 10m Finals Record! October has been a great month! I shot in Cookstown, Ontario a couple weekends ago and shot 1 of the 2 qualification scores I needed to make the 2018 Canadian Team. I also set a new Canadian Men's 10m Finals record with a score of 235.2! 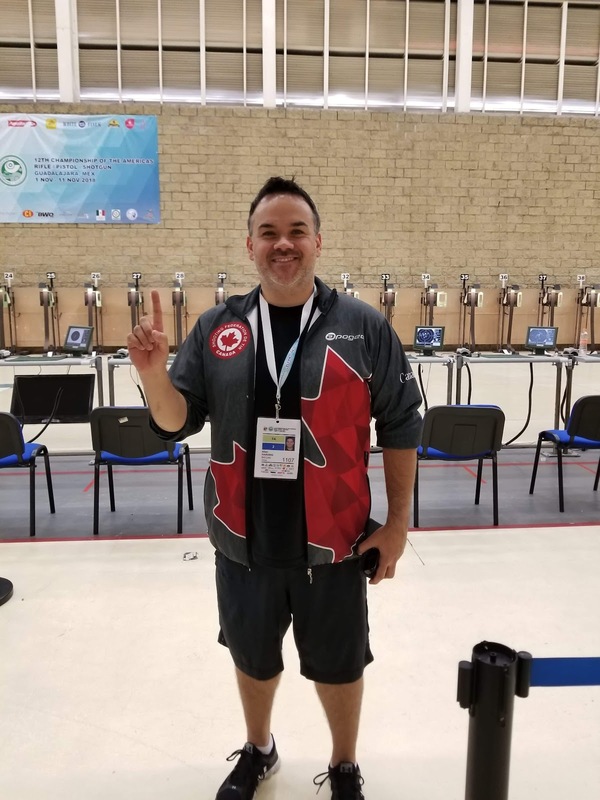 New Canadian Men's 10m pistol record of 235.2! This past weekend in Calgary, Alberta at the 2017 Western Canadian Airgun Championships I shot my 2nd qualification score with a 567/600! It's been a long road this year shifting focus back to 10m from the last 2 years of 50m focus I'd been doing. This past month things really came together to secure my spot on the team. Focus! I've got a new target sports program for youth starting up in November at the Sunshine Coast Rod & Gun club and will post updates once that program kicks off. 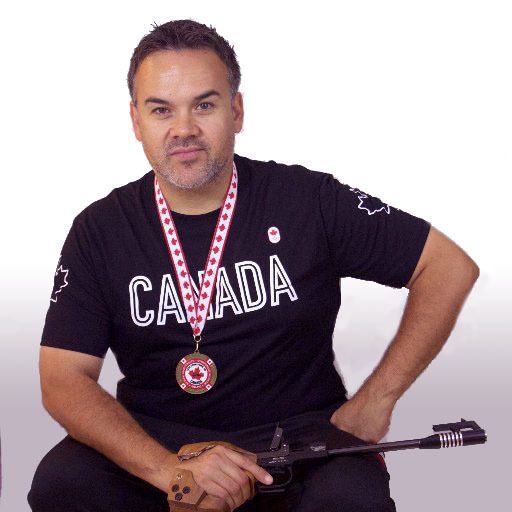 I'm looking forward to helping a new generation of Olympic style shooters get started! 2017 Canadian National Rifle / Pistol / Shotgun Championsips! The 2017 Canadian Rifle, Pistol, Shotgun Nationals are all finished and it was a great experience for me. 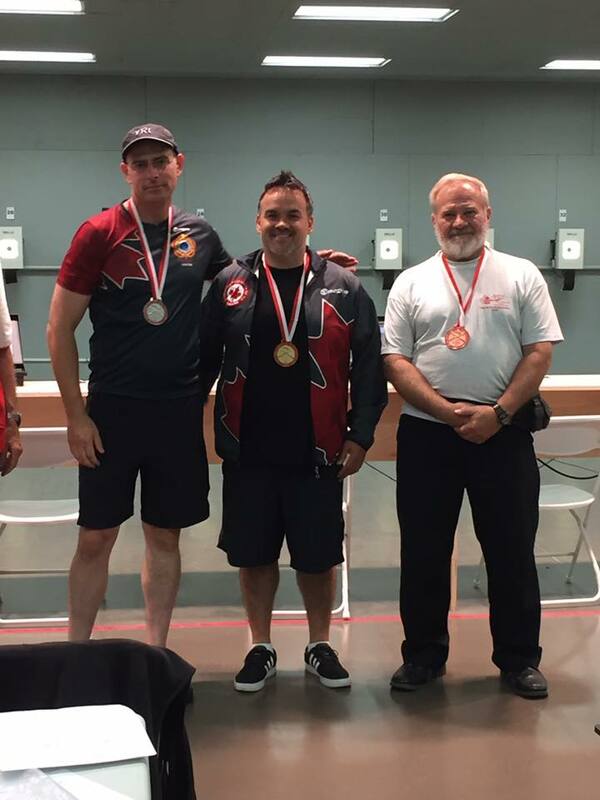 I was able to secure the gold and take the national title in the men's 10m pistol event and took bronze in the 50m pistol event. Huge thank you's to Sarah @ URPower, Donna and Katie @ Fortius, Harvey @ Airguns Plus! Up next are a couple of competitions in Ontario next month and in Manitoba in October! More details to come! Thanks for all the support and follow my journey on Twitter, Facebook, and Instagram. 2017 upcoming competitions and activities! What a year 2016 was... lots happened in every part of my life! I shot a personal best in Munich, Germany at the World Cup stage hosted there and I became the National Champion at Olympic 50m pistol. I also made a lot of decisions that would help lead me to a path of making it to Tokyo in 2020. This year I'm scaling back on my competition schedule to focus on a few select events. I'm also focusing on both 10m _and_ 50m. I was planning to stay focused on the 50m event but with the possible change in shooting events proposed by the ISSF I'm going to focus on both events. The ISSF is meeting this week in New Delhi, India to go over the proposed changes to the Olympic program across all shooting disciplines. A petition was started by Bruce Quick to save the 50m event at the Tokyo 2020 Olympics. Sadly, this is the very event I've been working towards. I also want to give a massive thank you to BC Target Sports for some funding to help with my training and travel this year. I very much appreciate it! Thank you!! 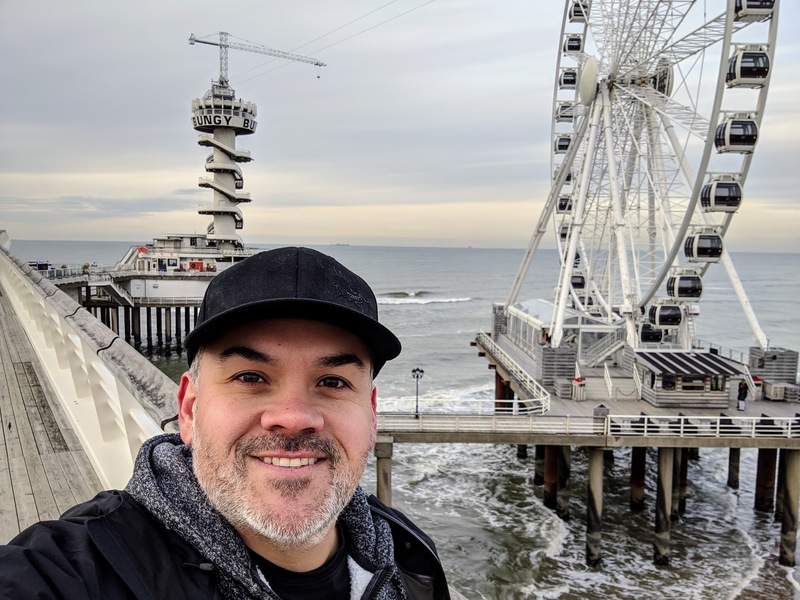 So much has been happening since my last blog post. Don't get me started on the blog posting frequency! ;) I really should be better at it. Rio... eventful World Cup. My pistol arrived with a beat up gun case, broken locks, and a grip that was all loose and out of alignment. Lots of learning happened from this event. Munich... I shot a new personal best at an international competition shooting a 540/600 in the 50m pistol event. This felt awesome. After spending so much time training this year and having it feel like I was on a plateau and then hitting my goal score in Munich. Awesome. I'm now near Toronto at the Pan Am Games shooting center venue to compete at the 2016 Canadian National Pistol Championships. After not spending a lot of time in the 10m event and shooting a 556/600 today I am pretty happy. Some more work needed here to get back to the 560-570 range but this year has all been about the 50m pistol event for me. Tomorrow I compete again in the 10m event. More updates to come! Ok the title is a bit misleading since I've actually been here a few days now. 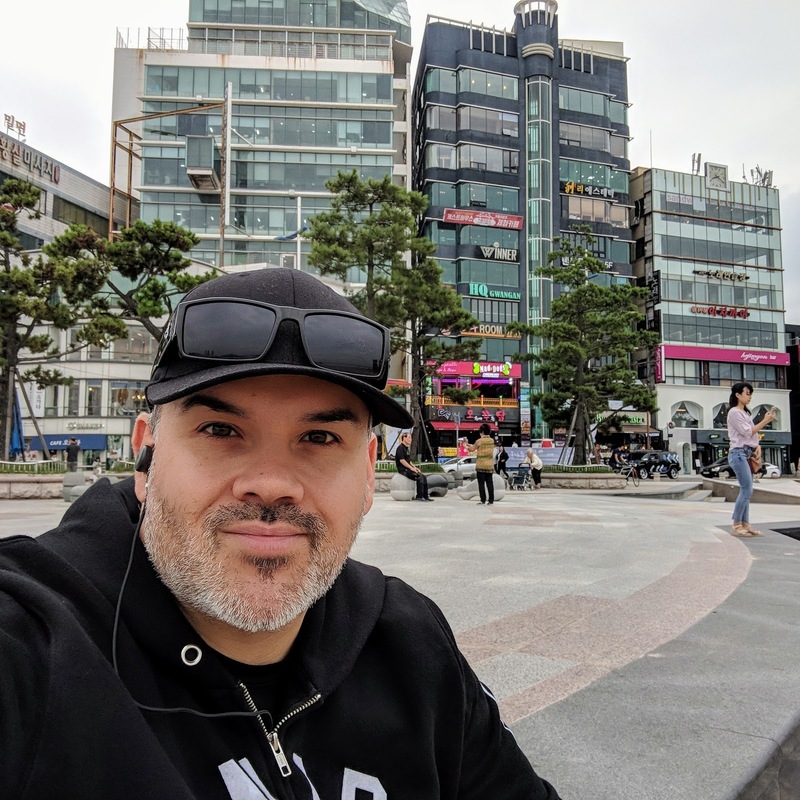 ;) Just getting caught up on things now that I've gotten settled in to Rio and gotten used to where things are, and how the buses to the range are scheduled and where to buy things, food, sim cards, etc. Rio is pretty incredible! 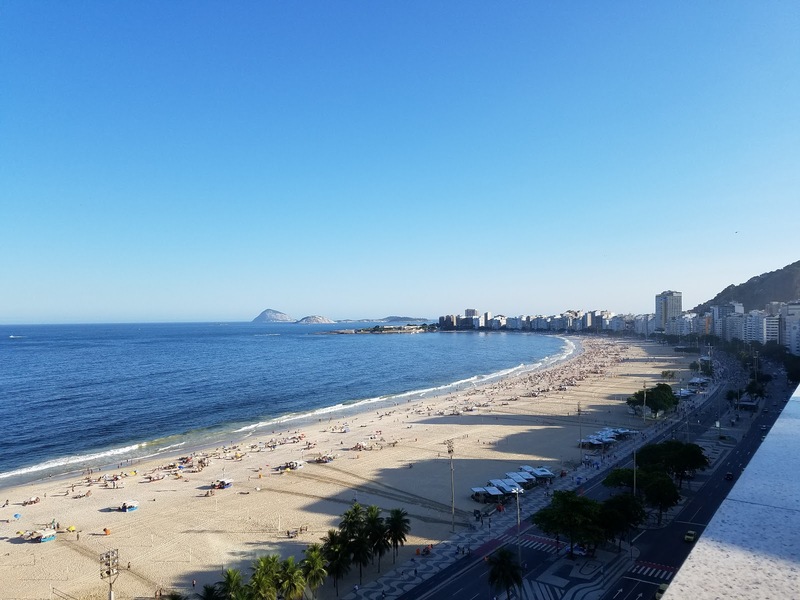 The Canadian Team is staying at a hotel on Copacabana Beach in Rio and the views are stunning at sunrise until sunset. 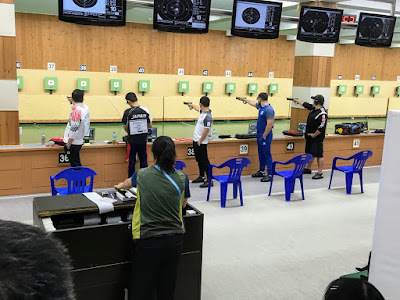 Today, I shot my pre event training at the shooting venue which will be the shooting venue for the 2016 Olympics being held this August here in Rio. Everything felt awesome, the range is great, lighting is great, and there was very little wind. Optimal conditions! 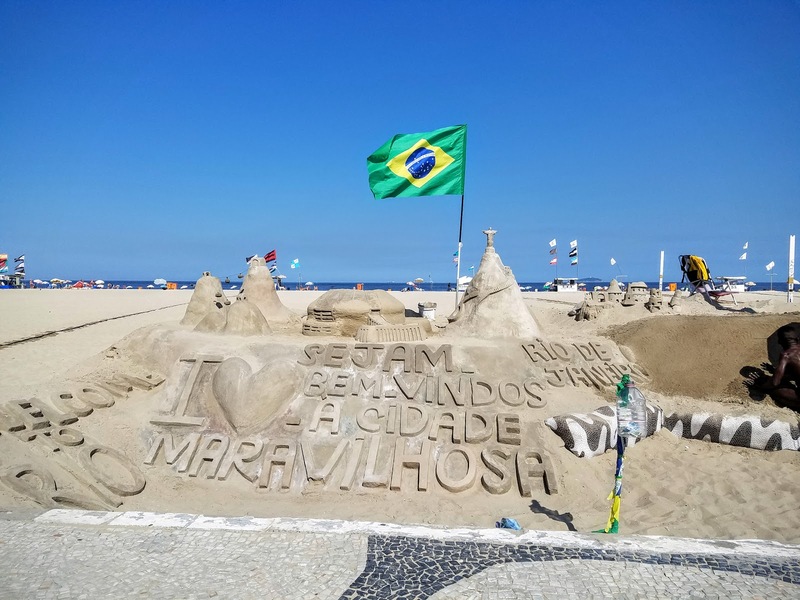 You can also check out a small update in the Coast Report about my current trip to Rio to compete. Lots more to come! My main event is happening tomorrow morning 11am Rio time. ISSF World Cup Series first stage complete! I'm in Hong Kong enjoying a bit of time off after last week's competition in Bangkok, Thailand. 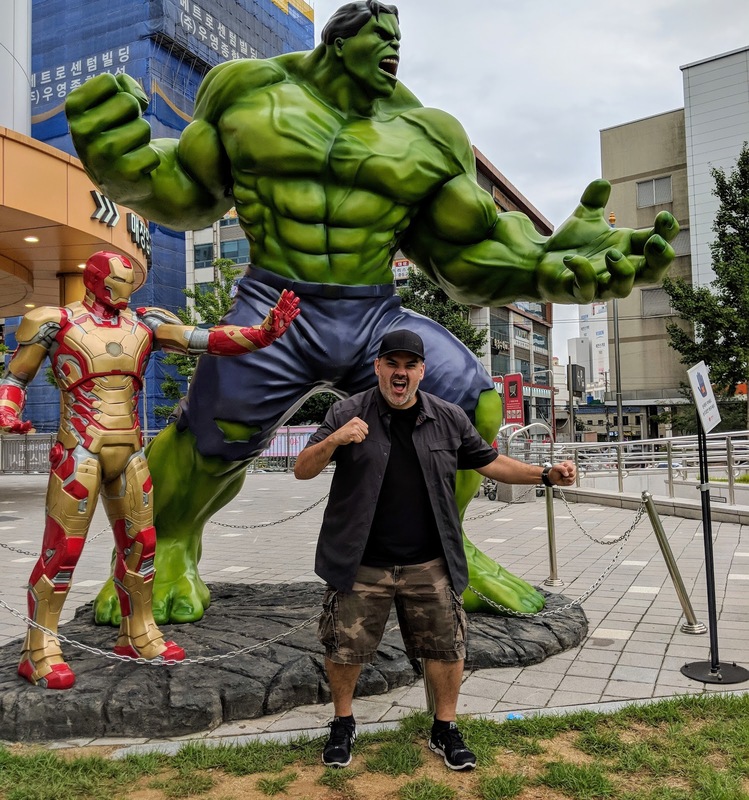 I had a great time visiting, competing, and enjoying the hot weather in Bangkok. The competition was a great experience and one that resulted in some good takeaways to get ready for Rio next month. The toughest part was probably adjusting to the heat and humidity -- I had lots of rain but a lot of cold weather to train in. 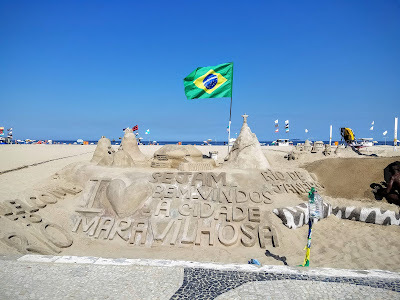 Rio, Brazil is next mid-April... stay tuned!